In January 2015, LDUK group member Demetrios Loukas organised the first ever patient-lead Parliamentary Conference on Lyme disease which was opened and chaired by The Countess of Mar. Presentations were also given by group members Denise Longman and Peter Kemp. LDUK’s write up of the event and links to the presentations can be found here. 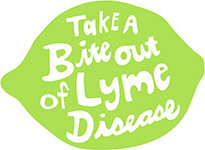 The Lyme Disease Challenge kicked off in March and LDUK group members got involved and shared their videos and photos widely on social media in support of the campaign. In April 2015, The Big Tick Project was launched in the UK which is a collaborative research effort organised by the University of Bristol and UK vets across the country and backed by celebrity naturalist Chris Packham. The launch of this project sparked a lot of media attention and LDUK group members were interviewed by My Pet Online, BBC Breakfast, STV, BBC Radio Suffolk, ITV and also featured in The Daily Mail. A good round up of the publicity can be found on Joanne Drayson’s blog; Looking At Lyme. LDUK Co-Founders Louise and Natasha were grateful and honoured to be featured on the What Is Lyme website during Lyme Awareness Week. Every day during the month of May, people who help the Lyme community were acknowledged on this fantastic and informative website. LDUK members attended the 2015 London protest which made up part of the Worldwide Lyme Protest. Leaflets and tick awareness cards were handed out to raise awareness and encourage preventative measures. Group member Laura Brown created a presentation for school children to raise awareness of the dangers of ticks. Jenny O’Dea released her children’s book on tick awareness, The Adventures of Luna and Dips internationally in Kindle format on Amazon. In the wake of businessman and philanthropist John Caudwell sharing his family’s battle with Lyme disease and announcing plans to set up of a new charity, LDUK members have been coming forward and sharing their stories in the press in an unprecedented media campaign to raise awareness of the disease. Representatives from the Academy of Nutritional Medicine joined LDUK Discussion Group and many group members have enjoyed attending their excellent three part Lifting The Veil conferences on chronic disease and infectious pathogens. Speakers have included Dr. Alan MacDonald, Dr. Armin Schwarzbach, Dr. Dietrich Klinghardt and doctors from the Breakspear Medical Group and a summary of the presentations given at the second conference can be found here. The AONM also became the official representatives for ArminLabs in the UK and so all testing enquiries should be sent to this organisation. LDUK group member and nutritionist Sally Wisbey was presented with an award by CAM for ‘Outstanding Contribution to the Community’ for her work in raising awareness of Lyme disease. LDUK group members Demetrios Loukas launched the Fight Lyme Now campaign with Dr. Armin Schwarzbach and Dr. Chris Newton to raise awareness of Lyme disease. Demetrios’ MP Neil Coyle hosted a survey on his website which has now been taken over by Robert Buckland MP and you can still take part if you are Lyme sufferer and a UK citizen. You can download the catchy song ‘Fight It’ for free.